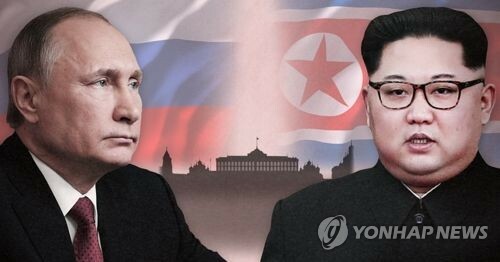 "Since mid-May, the North started to lend state-owned cooperative farmland to city workers as part of its various efforts to solve serious food shortage problems for city workers," the North Korea Intellectuals Solidarity said in a press conference, citing inside sources in the North. The latest farmland renting plan is one of the North's ideas to help solve food shortages, according to the study group. The country is promoting the plan as an effective way to encourage workers to raise self-sufficiency as well as to increase national agricultural output, it said, adding that some citizens are pessimistic about the plan because of the shortages of seeds, fertilizer and other tools needed for farming. 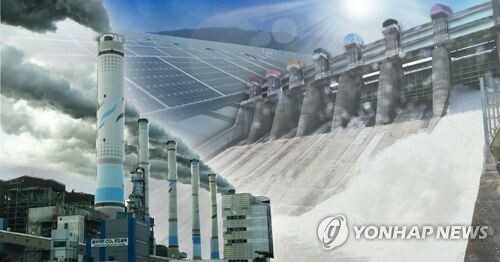 Since heavy floods hit the country in the mid-1990's, its rationing system almost collapsed with North Koreans being forced to resort to self-supporting methods, a government official said on Wednesday. 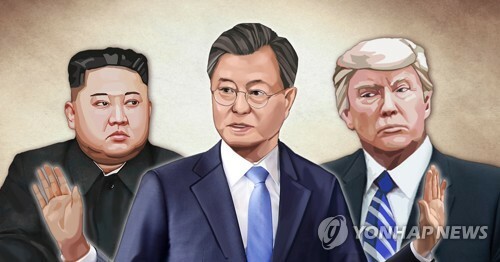 WASHINGTON (Yonhap) -- North Korea is the 23rd most failed state in the world in a U.S. index gauging states' management of social, economic and political affairs, a foreign affairs magazine said on June 27. The Failed States Index, compiled annually since 2005 by U.S. think tank Fund for Peace and the magazine Foreign Policy, ranked the North 23rd out of a total of 178 nations. The index examines 12 social, political and economic factors like a government's practical control over its territories, non-provision of public services, corruption, criminality, refugees and sharp economic decline. Countries in the upper ranks are those in the worst conditions regarding the 12 factors. In the first-year of the index in 2005, the North was ranked as the 13th most failed nation and it stayed near the top 10 before moving down to 22nd place last year. The 2013 result put the North in the "alert" group, the highest of four classifications based on marks in the 12 sectors. The index showed that the North is doing poorly especially in the sectors of poverty, economic decline, legitimacy of the regime, feeble public services, human rights violations and the rule of law. N. Korean Envoy Han, Key Liaison with Washington, Leaves U.N.
SEOUL (Yonhap) -- North Korea's deputy U.N. Ambassador Han Song-ryol, who had served as a key liaison official between Pyongyang and Washington, has left the post and returned home, a diplomatic source said on June 27. The departure of Han appears to mean that the so-called "New York Channel" between North Korea and the United States is temporarily severed, according to the source. "Deputy U.N. Ambassador Han returned home and his successor will soon come to New York," the source said on the condition of anonymity, adding a "working-level" diplomat is likely to succeed Han. North Korea and the U.S. have no diplomatic ties and the diplomatic conduit between Han and American diplomats in New York has sometimes sought prospects for resuming talks between the two nations. Han took up the post in 2002, when nuclear tensions on the Korean Peninsula mounted after North Korea was blamed for secretly running a uranium-enriching program that could provide the communist regime with new material to make atomic weapons, in addition to its plutonium-based weapons program. He returned home in 2006 but came back to the post in 2009. 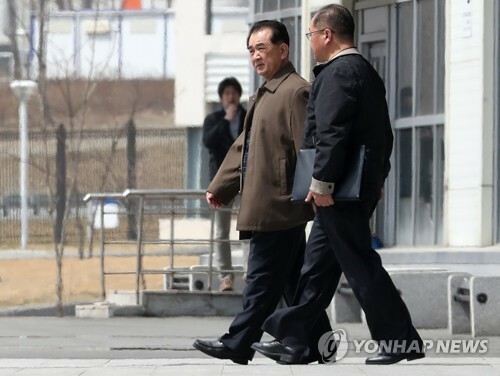 In March this year, Han reportedly held a secret meeting with Clifford Hart, the U.S. envoy for the six-party talks aimed at persuading North Korea to give up its nuclear ambitions. SEOUL (Yonhap) -- North Korea attempted to sell ballistic missiles with a range of 3,500 kilometers to a British arms dealer, an Internet media outlet based in the United States said on June 27. NK News, which specializes in providing North Korea-related information to the general public, said a recent United Nations report revealed the socialist country's Haesong Trading Corp. allegedly made an offer to sell a wide range of weapons systems, including intermediate range ballistic missiles (IRBM), to an arms dealer. It did not elaborate on when the offer was made. The media source said the company asked for more than US$100 million per unit for the IRBMs. It added that while the North reportedly sold shorter range missiles modified from older SCUD rockets to some Middle East countries, this is the first time it tried offering a longer range delivery system. On the missile offered for sale, the Internet outlet speculated it was probably the Musudan missile that first made a public appearance in October 2010. 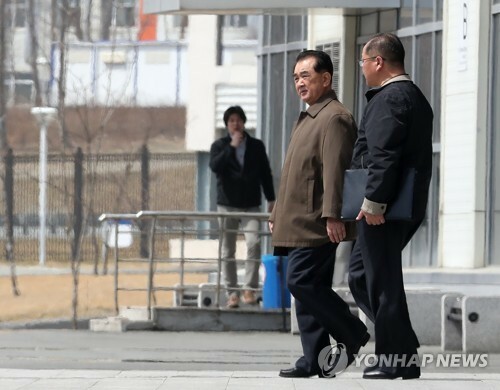 Related to the offer made by the North, NK News said some experts believed Pyongyang probably proposed the sale to check the reaction of the arms dealer. They pointed out that with the international community maintaining tight control over all shipments entering and leaving the country, it would have been impossible for the North to export the missiles even if an agreement was reached. SEOUL (Yonhap) -- The United Nations' independent body commissioned to investigate North Korea's human rights violations will hold its first meeting early next month as it kicks off its operations, a news report said on June 28. The three-man Commission of Inquiry (COI) under the U.N. Human Rights Council will hold its first gathering in early July in Geneva, the Washington-based Voice of America (VOA) said, quoting the Office of the High Commissioner for Human Rights. The U.N. established the COI on North Korean human rights violations in March amid increasing international calls to investigate the dire human rights conditions in the isolated country. The commission is composed of Marzuki Darusman, a U.N. special rapporteur on North Korea and former Indonesian foreign minister; Michael Donald Kirby, a former Australian Supreme Court justice; and Sonja Biserko, a Serbian human rights activist. The members will announce their investigation plan following the Geneva meeting, according to the report. North Korea has been accused of grave human rights abuses ranging from holding hundreds of thousands of political prisoners in concentration camps to committing torture and carrying out public executions. The country, however, has denied the accusations, calling them U.S.-led propaganda to topple its regime. SEOUL (Yonhap) -- North Korea is deploying improved artilleries with a longer range at its front-line military units, a government source said on June 30, indicating that they will pose a greater threat to South Korea's capital areas. North Korea's military is replacing 107-millimeter-caliber multiple rocket launchers deployed at its front-line artillery units with the improved 240-mm-caliber multiple rocket launchers, the source said. North Korea is believed to have deployed multiple rocket launchers with three different caliber sizes -- 107mm, 122mm, 240mm - on the border. The 240-mm-caliber launcher has a range of 60 kilometers, but the improved version, now replacing the 107-mm-caliber ones, increases the range by up to 10km, according to the source. 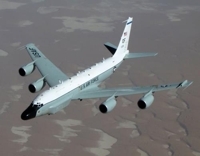 "We are detecting signs that the North is deploying the improved 240-mm-caliber multiple rocket launchers, and the signs are showing up at some western and eastern front-line military units," the source said. The North Korean military has been developing the new version in order to increase its target range and has recently succeeded in producing it for actual use, according to the source. The new artilleries pose increased military threats to areas south of South Korea's capital region, which is near the border with the North, the source added. A U.S. Department of Defense report submitted to Congress last month showed that the North has a total of 5,100 multiple rocket launchers. BANDAR SERI BEGAWAN, Brunei (Yonhap) -- U.S. Secretary of State John Kerry said on July 1 that Washington, Beijing, Seoul and Tokyo are "absolutely united" in their efforts to convince North Korea to give up its nuclear weapons program. Kerry made the remarks after holding bilateral talks with Chinese Foreign Minister Wang Yi on the sidelines of a regional security forum here. He also held three-way talks with the top diplomats of South Korea and Japan before meeting with Wang. "All four of us are absolutely united and absolutely firm in our insistence that the future with respect to North Korea must include denuclearization," Kerry said in a press conference. "China made it clear to me that they have made very firm statements and very firm steps they have taken with respect to the implementation of that policy." After months of high tension triggered by the North's third nuclear test in February and bellicose threats against South Korea and the U.S., North Korea appeared to be shifting to dialogue in recent weeks. During the separate meetings with Wang, South Korean Foreign Minister Yun Byung-se and Japanese Foreign Minister Fumio Kishida, Kerry said, "And in the end, we know that the only way to find peace that we want and the stability we want is for North Korea to honor its commitments made on the Sept. 19, 2005, joint statement of the six-party talks which refers very specifically to verifiable denuclearization." North Korea walked out of the Sept. 19, 2005, deal after conducting its first nuclear test the next year. The six-party talks, involving the two Koreas, the U.S., China, Russia and Japan, have been dormant since late 2008. China is a key provider of economic aid and diplomatic protection to North Korea, but bilateral ties appear to have been strained since the North's third nuclear test. South Korea, the U.S., China and Japan "want North Korea to understand that the region will be better with denuclearization," Kerry said. Kerry was in Brunei for the 27-member ASEAN Regional Forum that opened on Monday. SEOUL (Yonhap) -- North Korea launched four short-range projectiles into waters off its east coast, a day before South Korean President Park Geun-hye began a state visit to China in late June, a government source said on July 1. "North Korea fired four short-range projectiles from the vicinity of Wonsan into waters in the East Sea in the afternoon of the 26th of June," said the source, who requested anonymity. "The projectiles are presumed to have been fired with 300mm-caliber multiple rocket launchers." North Korea launched several short-range projectiles into the East Sea in May despite South Korea's demand to end such provocations that could heighten tensions on the Korean Peninsula. Though any firing of short-range missiles or projectiles by Pyongyang does not constitute violations of U.N. resolutions banning the North from test-firing ballistic missiles, South Korea and the United States consider that as a provocative act. 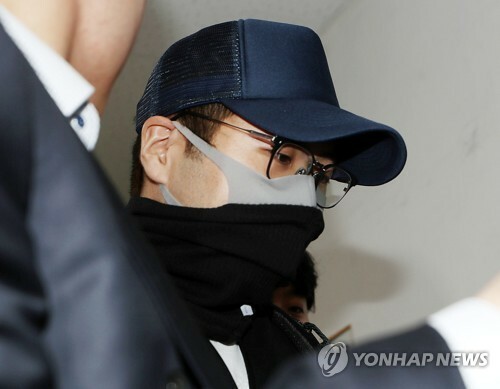 Park returned home on Sunday after a four-day visit to China that began on Wednesday. In Beijing, she and agreed to work together to make the Korean Peninsula nuclear-free. While having summit talks with Chinese President Xi Jinping in Beijing, Park called for North Korea's denuclearization and described Pyongyang's goal of simultaneously seeking economic development and nuclear armament as unattainable. 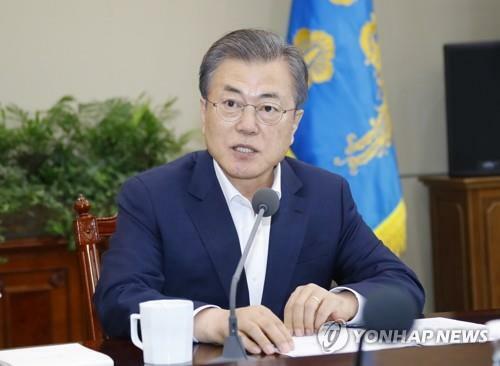 North Korea earlier in the day reacted vehemently to Park's criticisms of its policy, calling them "unacceptable provocations" against its regime's dignity and declaring that its "nuclear capability can never become a bargaining tool and is non-negotiable." The anonymous Seoul government source said the projectiles launched last week are the same as those fired in May. "This time, the projectiles traveled about 100 kilometers, shorter than 150 kilometers flown by the projectiles in May," the source said, adding Pyongyang has yet to complete the development of 300mm-caliber multiple rocket launchers for deployment. North Korea is believed to have been trying to develop 300mm-caliber multiple rocket launchers capable of flying up to 200 kilometers. SEOUL (Yonhap) -- Trade between North Korea and China contracted 2.3 percent on-year in the first five months of 2013 mainly due to Pyongyang importing less from its neighbor, a report showed on July 2. 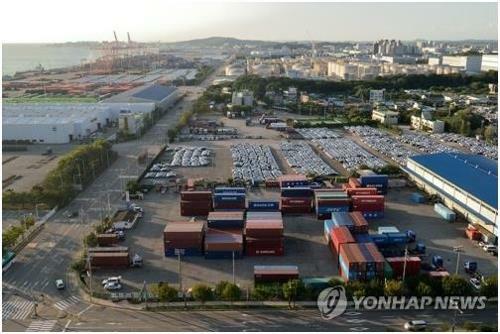 The report by the Korea International Trade Association (KITA) showed two-way trade at US$2.45 billion in the January-May period, with North Korea's exports to China growing 6.5 percent on-year to $1.12 billion. The North's imports from China, however, dropped 8.5 percent to $1.33 billion. The trade association said the North shipped $613.6 million worth of coal, making it the top export commodity for the socialist country, followed by such raw materials as iron and lead ores. In exchange, the North bought $265 million worth of crude oil, a decrease of 5 percent from January-May of 2012. The country imported $52 million in large cargo-hauling vehicles, as well as flour and soybean oil from its neighbor. KITA did not elaborate on the reason for the decrease in overall trade volume and the drop in crude oil imports from China. Related to economic developments in the North, the U.S. Department of Agriculture said in a report that food conditions in the isolationist country remain one of the most precarious in all of Asia. In its 2012-2013 food security report, which inspected 22 countries in the region, the North came in at the bottom with Afghanistan and Yemen. The findings, which are used as reference material for food aid provisions by Washington, claimed that while the North was able to produce 7.5 million tons of grain annually up until the early 1990s, this has since plunged to around 4.3 million tons in 2012. SEOUL (Yonhap) -- A total of 1,749 North Koreans are working in Mongolia with most of them employed in the construction sector, a news report said on July 3. 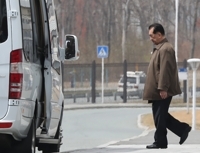 The number of North Korean workers, tallied at the end of April, accounts for the second largest foreign workers' group in the central Asian country, after the Chinese, the Washington-based Radio Free Asia said, citing Mongolia's labor ministry. The figure represents North Koreans legally working in the country. 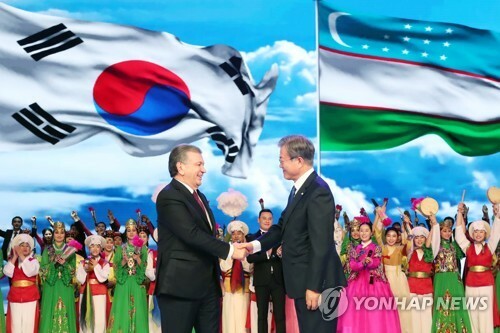 The report reflects the two countries' recent efforts to tighten economic ties. The Mongolian oil firm HBOil JSC announced last month that it has acquired a 20 percent stake in the North Korean oil refinery Sungri. Mongolia also expressed its hope to rent a North Korean seaport while Choe Thae-bok, the chairman of the Supreme People's Assembly, was visiting the country in November last year. SEOUL (Yonhap) -- Imports of Chinese grain by North Korea fell 14.2 percent on-year in the first five months of 2013 mainly due to a better harvest last fall, a report said on July 3. The findings by the Korea Rural Economic Institute (KREI) showed Pyongyang's imports of flour, rice, corn and other grain products reaching 101,170 tons in the January-May period, down from 117,922 tons the year before. The institute said numbers fell sharply in May when total grain imports stood at just 21,142 tons, which represents an 18 percent drop from the previous year and an 18.2 percent decrease from April. The socialist country brought in 25,850 tons of grain from its neighbor in the preceding month and 25,788 tons in May of 2012. 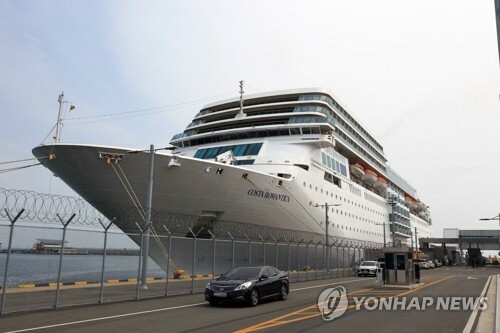 Kwon Tae-jin, a research fellow at KREI who compiled the report, said the sizable drop in imports was probably caused by better grain output last year, which made it unnecessary for the country to buy the commodity from China. "It can be a sign that things have improved," he said. The researcher also speculated that the harvest of such produce as barley, wheat and potatoes, which grow in spring, may have been better than in the past. 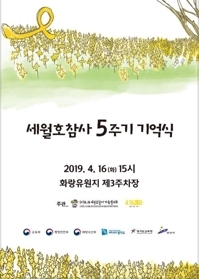 The experts, who checked raw data provided by the Korea International Trade Association, said the North imported 42.7 percent more chemical fertilizers in the January-May period of this year vis-a-vis the same time period in 2012. The country brought in 129,967 tons of fertilizer from China, compared to 91,096 tons the year before. Such an increase may exert a positive effect on farm output. Kwon said that the spike in fertilizers is a sure sign that the North is giving top priority to pushing up agricultural output. Related to the latest data, a government source hinted that North Korea's emphasis on agriculture may be aimed at trying to strengthen the leadership of its new leader Kim Jong-un, who took power after the sudden death of his father Kim Jong-il in late 2011. "Unlike other economic sectors that require time, agriculture is something that can generate results in a short period of time and have immediate impact on everyday lives," the official who declined to be identified said.